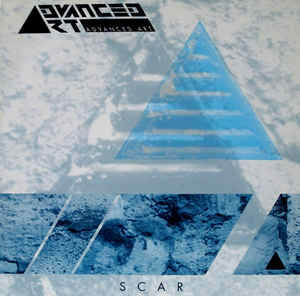 A few weeks ago, I posted an excellent New Beat 7” from Iconoclass, an obscure, but solid genre classic. You guys wanted some more of that sound, so I’m happy to deliver! Thanks to Andi, fellow DJ and co-author of the excellent Some Wear Leather, Some Wear Lace book for originally turning me on to this one, which has been an obsession ever since. 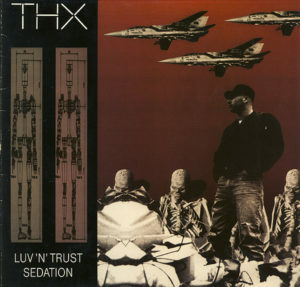 THX were a German New Beat/EBM duo consisting of Andy Düx and Peter Schmidt. Düx gets credit here as a member of Jack U Rebels, a techno collective, but I know him best as a member of Voyou, who released one of the best tracks in the genre just a few years prior. This particular 12” was released in 1990 and features three mixes of tracks otherwise available on the band’s full length LP. While the full length is available on CD (and is generally easier to find), the mixes here are exclusive to this 12”. The real winner is the title track, a 7-minute romp chock full of thundering EBM beats, haunting synth melodies, and gritty, almost whispered male vocals with just the right mix of sensuality and distortion (see also: Tricky, though the comparison only extends to the vocal effects). It definitely never fails to get the blood going, and I hope you guys dig it as much as I do! Some of you readers may know that I have moonlight as a DJ in NYC for over ten years. During my tenure, I’ve DJed post-punk, shoegaze, coldwave, minimal synth, and everything in between. However, these days I’ve been leaning heavily on the new beat side of things, tapping into the Belgian subculture. For those unfamiliar with the genre (for shame! ), new beat is a hyrbid of EBM, acid house and the Chicago/Detroit dance scene, and some of the best tracks walk a fine line between all three. Tempos are slow, lyrics and samples are usually sexually charged, and acid squelches are plentiful. Many of the tracks were written and performed by the same core group of producers, with the singers usually acting as the only variable in the mix (also see Italo). History lesson aside, many new beat records are affordable, and like any insular dance movement, there was a flood of songs on the market. New beat is one of the more plentiful genres I’ve come across as a collector, so much so that I’m still picking out gems on a regular basis. This particular single is one of the best I’ve come across, and it took a little nudge from Goutroy to check this one out. I was over at his pad one Friday evening, eating dinner and playing old video games, and at some point, he threw on a compilation entitled Best of the Beat– a surprisingly obscure and pricey new beat compilation with no real obvious cuts (101, Tragic Error, The Maxx, etc. are all absent). The whole comp. is solid, though the majority of it was written by a core group of producers- Gery Francois, Tony Baron, Lee Kane, whose projects include Acidity, Lou & the Acid Bananas, and Ace Buzz. As it stands, the trio’s recordings make up over half of the compilation. Iconoclass is yet another project from these dudes, and quite possibly the best. Released in 1988 and appearing in both 12” and 7” form (both sporting an unassuming cover that looks like Disney meets The Phantom Tolbooth), the original version of “Tenebrae” is one of my favorite new beat tracks that I’ve ever heard; an instant classic combining the traditional new beat techniques with haunting Gregorian chant, a sound that pretty much guarantees true love on my part. It appears here as the B-side, while a remixed (and inferior) version of the track appears on the A-side, likely aiming for the NY hip-hop scene, with some awkward but charming rapping on top of the groove. Your mileage may vary on that version, but the original version is the real deal, and I hope you all enjoy it as much as I do! Just nabbed this fantastic EBM/New Beat 12” from the local shop, and surprised not to see it shared anywhere else. 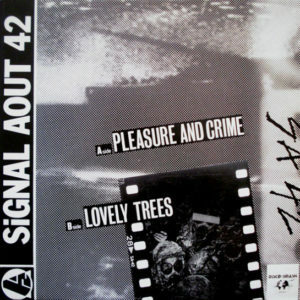 Here we have the debut single from Signal Aout 42, aka SA42. Released in 1986, this precedes their debut album Pro Patria, which followed three years later. The band started as a three piece, changing members several times over their tenure. I do believe they’re still active to date, playing shows across Europe and releasing music in a similar vein. Fans of the aggressive new beat sound should love the hell out of this two track single. Both tracks have that nasty, powerful stomp that hits the spot on the dancefloor. The A-side was re-released two years later in heavily remixed form, most likely due to club success.